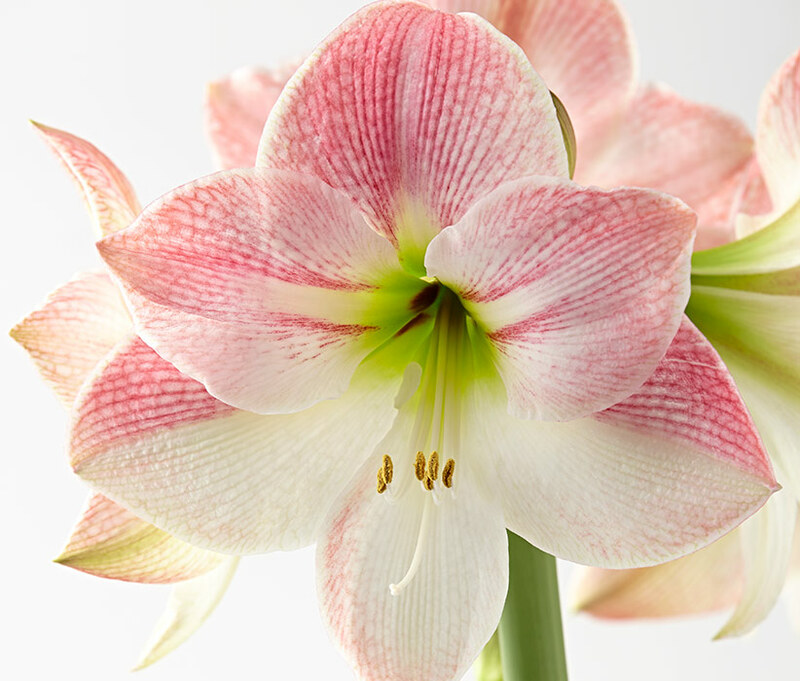 Amaryllis (Hippeastrum hybrids) have beautiful, exotic flowers that come in an array of colors and are most often purchased and grown to bloom around the holidays. But you don’t have to pitch them when the holidays are over! 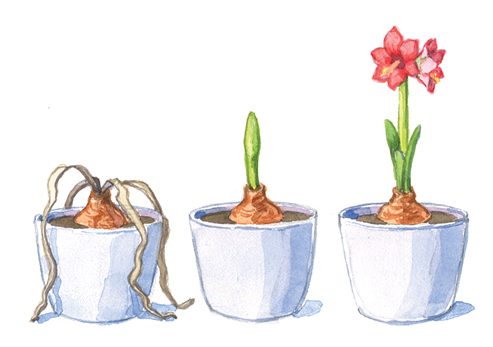 If it’s hard to say goodbye to your beautiful amaryllis flowers, follow our steps below. Come summertime, you’ll be greeted by another round of these blooming beauties. Water thoroughly and set it in a sunny south-facing window. Once you see green peeking from the top of the bulb, start watering every time the soil gets dry (about once a week). Fertilize with a water-soluble plant food. Over the next few weeks, several stalks emerge and eventually set buds and bloom. When the blooms open, move the plant out of direct light so the color doesn’t fade. Remove the spent flowers as needed. 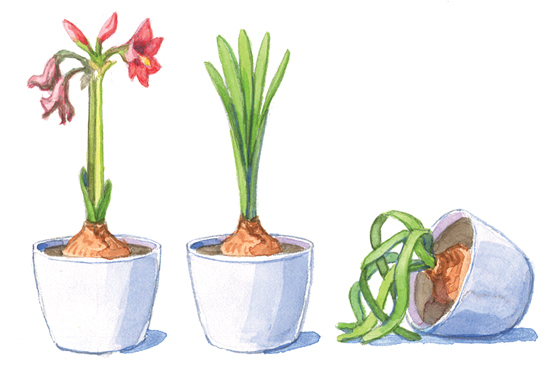 Stop watering and move your amaryllis to a cool, dark place — 40 to 45 degrees F. You might want to tip the pot so you won’t absentmindedly water it. Let the bulb rest like this for eight to 10 weeks. Don’t worry about removing any of the foliage right now. 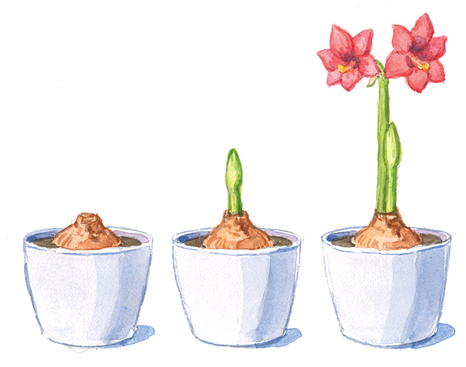 After the rest period of eight to 10 weeks, bring your amaryllis back out and start over. Pull off the dead foliage and water. You may need to set the pot in a tub of water to rehydrate dry soil. Set it once again in a sunny window and begin regularly watering and fertilizing as green emerges. In several weeks, you can expect another round of blooms. Pushing an amaryllis to rebloom takes its toll. And your bulb will probably get smaller each time, ending up as mostly just a papery husk that you’ll throw away. But by following these steps, you can get several flushes of blooms over a couple of years from one bulb. And who wouldn’t want that?